Yesterday Henry Chau Hoi-leung appeared in court for the first of many appearances. He and Tse Chun-kei are charged with the murder and dismemberment of Chau’s parents on 1 March. Police arrested the pair on Friday. 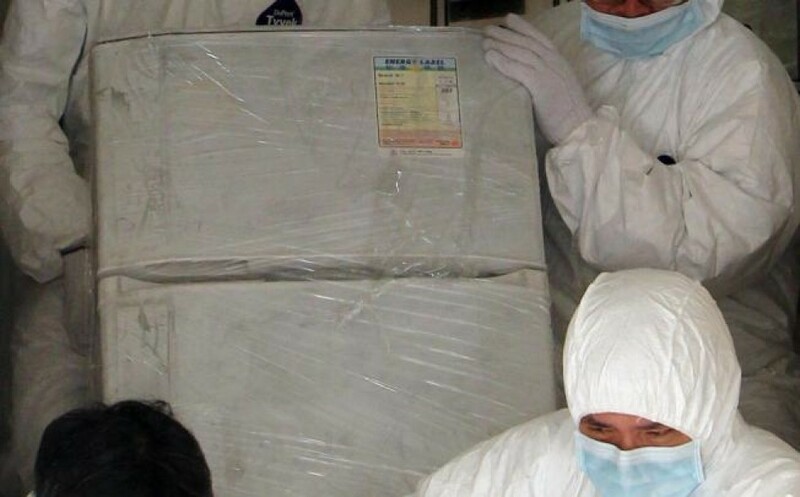 Since evidence has been removed from the purported scene of the crime, including the refrigerator pictured above (Source: The South China Morning Post). It is alleged the couple were dismembered and stored in the refrigerator in the flat. The arrests on Friday were one of the motives for another murder – then another (see my earlier post “Murder is Contagious in Hong Kong“). Today’s newspapers share that the Sunday murder-suicide may have been premeditated, as the killer made advance wage payments to staff a few days before. Wong Suk-kan and her victim Peng Chui-hui were positively identified. As expected we can look forward to months of details as investigations continue, trials commence and motives are understood. Throughout the lives of all those involved are changed forever. The immediate and ongoing carnage from these acts is enormous.